She was adopted by Lloyd Henry Baxendale.1 From 5 January 1927, her married name became Erskine. 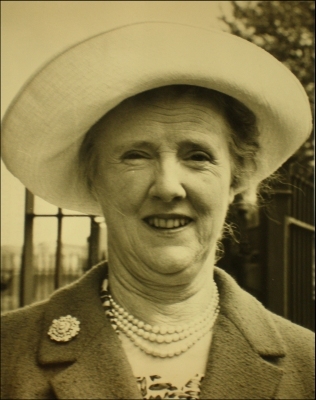 After her marriage, Christina Baxendale was styled as Baroness Erskine of Restormel Castle on 9 February 1957. After her marriage, Christina Baxendale was styled as Countess of Buchan on 18 December 1960. [S1640] Gaby Conradty, "re: Süsskind Family," e-mail message to Darryl Roger Lundy, 16 march 2005. Hereinafter cited as "re: Süsskind Family."